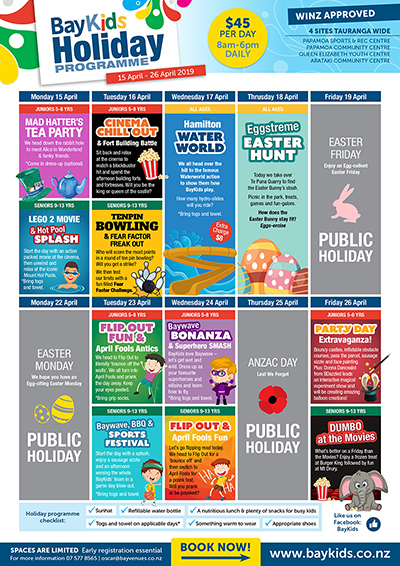 BayKids has a great OSCAR school holiday programme on offer at multiple locations around Tauranga to keep your kids entertained during the school break! Cost per day is $45. All programmes are accredited and WINZ funding is available to working parents. Visit the WINZ website to see if you qualify.